Recently, a blog reader noticed that I am descended from John and Elizabeth (Phillips) Ballou of Smithfield, Rhode Island. The reader’s question was, what do I know about the parents of my 7th great-grandmother Elizabeth Phillips. I am related to her in the following way: my grandmother Edna May Darling (1905 – 1999) – Russell Earl Darling (1883 – 1959) – Addison Parmenter Darling (1856 – 1933) – Ellis Aldrich Darling (1824 – 1883) – Nancy Ann Aldrich (1800 – 1879) – Marcy Ballou (1778 – ?) – Richard Ballou (1751 – 1824) – Elizabeth Phillips (17?? – 1755), my 7th great grandmother. I have not yet done any research on the Phillips. But here is how I would approach the problem. LOOK UNDER THE SPOUSE’S NAME. The well-known An Elaborate History and Genealogy of the Ballous in America by Adin Ballou (1888) mentions that Elizabeth was the daughter of “Joshua Phillips of Sutton, Mass.” (p. 56-57). Books of this era normally do not specify sources for details like this. No marriage date is cited but the first child was born in the early 1740’s in Smithfield, Rhode Island. The entry for John and Elizabeth (Phillips) Ballou gives some intriguing details, including this note about Elizabeth: “She is said to have been the sister of Moses Ballou’s first wife“. One could begin to follow up on that right in the same book. Once I have a clue like that, if pursuing the direct ancestor turns up very little, I would often try pursuing the sibling (keeping in mind, of course, that the relationship is not certain). LOOK FOR SURNAME BOOKS FOR PHILLIPS. 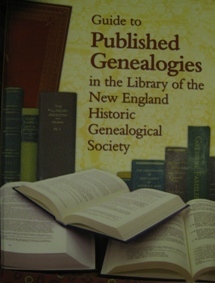 The Guide to Published Genealogies in the Library of the New England Historic Genealogical Society (Boston: NEHGS, 2012) details genealogies of PHILLIPS families on p. 1056-7. A few of the books mentioned might be useful. A large genealogy library would have some of the books mentioned, the NEHGS library in Boston would have (presumably) all of them. Likewise, Torrey should be used as a bibliography. 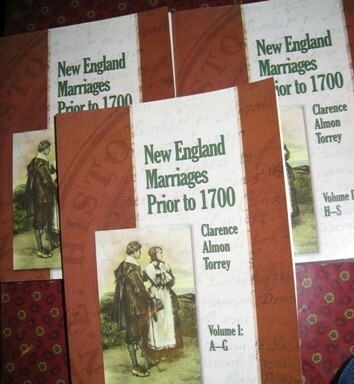 I use the 3-volume paperback set, New England Marriages Prior to 1700 by Clarence Almon Torrey (Boston: NEHGS, 2011). I would first need some clues about the names of Elizabeth Phillips’ parents or grandparents, and use this book to find articles and books that give further details about them. Another helpful bibliography would be the paperback “New Englanders in the 1600’s: A guide to Genealogical Research Published Between 1980 and 2010, Expanded Edition ” by Martin E. Hollick (Boston: NEHGS, 2012). It has several Phillips listed on page 185; I would start with the Michael Phillips from Rhode Island (the article mentioned for him is NEHG Register 143: p. 221-33). For those often doing New England research in the 1600’s this book is worth owning. The Genealogical Dictionary of Rhode Island by John Osborne Austin with Additions and Corrections by Austin and G. Andrews Moriarty (1978 edition) (Baltimore, Genealogical Publishing Co., 1978). There is one entry for PHILLIPS, p. 152. It’s a promising lead, because the immigrant, Michael Phillips, was made a freeman in Newport, R.I. in 1668, and most of his descendants seem to have settled in Smithfield, Rhode Island. There are several Elizabeths in the third generation. I would recommend you find this book in a library and NOT rely on the pre-1923 original version on the web. There are many important corrections in the later versions. It can often be purchased as a used book on Amazon for about $35. Austin’s One Hundred and Sixty Allied Families also discusses the same Phillips family on p. 198-199. If you can find the 1893 edition online I suspect it is the same as the reprint I have (Baltimore: Genealogical Publishing Company, 1982). Use various online indexing services for articles in historical or genealogical journals. NEHGS has such a search for members, or try resources at your local library like HeritageQuest. “Elizabeth Phillips” is a fairly common name; one might want to search under her husband’s name, John Ballou, which may be mentioned in any Phillips source or article that includes her. If you find some clues to a pre-1635 arrival of an ancestor in New England, The Great Migration Begins 1620-1633 (3 v.) and The Great Migration 1634-1635 (7 v.) by Robert Charles Anderson (Boston: New England Historic Genealogical Society, 1995-2011) are incredibly useful resources and can be consulted by members on the NEHGS website or in many libraries. VITAL RECORDS IN RHODE ISLAND ARE INCOMPLETE. The Arnold vital records provide an index to pre-1850 Rhode Island birth, marriage and death records, source by source (Vital Records of Rhode Island by James Newell Arnold, v 1 – 21. Providence: Narragansett Historical Publishing Company, 1891 – 1912). Starting with entries from these books I would then prefer to see the actual record either in person at the town hall, or on microfilm. Besides town records, Arnold includes some additional sources, like newspapers, in the later volumes, so look them over. Arnold records are also available online, for instance, on Ancestry.com. But I hate to rely on that for something important, because then you are dependent on their indexing. VITAL RECORDS IN NEARBY MASSACHUSETTS. The tan books provide a compiled index to pre-1850 Massachusetts vital records, town by town. Many of these volumes were published pre-1923 and so have been made available online. I would look for one from Sutton, based on the clue in the Ballou book. Each book begins with a brief history of the town and an introduction which discusses the records included. The Sutton book (Vital Records of Sutton, Massachusetts To the end of the year 1849. Worcester: Franklin P. Rice, 1907) suggests the town was founded in 1714. No relevant Andrews information appears. But a lack of vital records does not prove anything, of course. 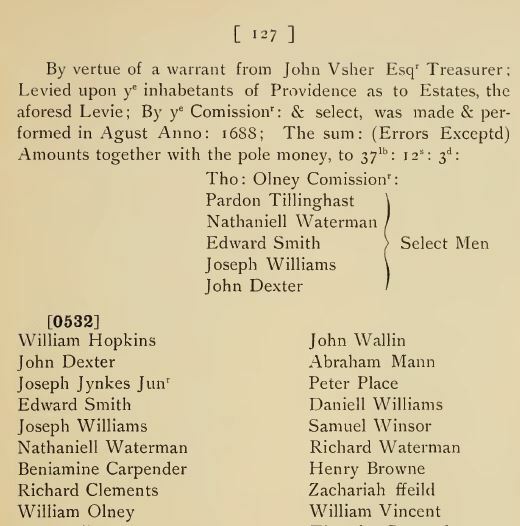 Records of the Colony of Rhode Island are unlikely to mention Elizabeth, but will help narrow down the various Phillips families in Rhode Island. The dates that men are made freemen in the various towns are often noted, so lots of names make it into these records. 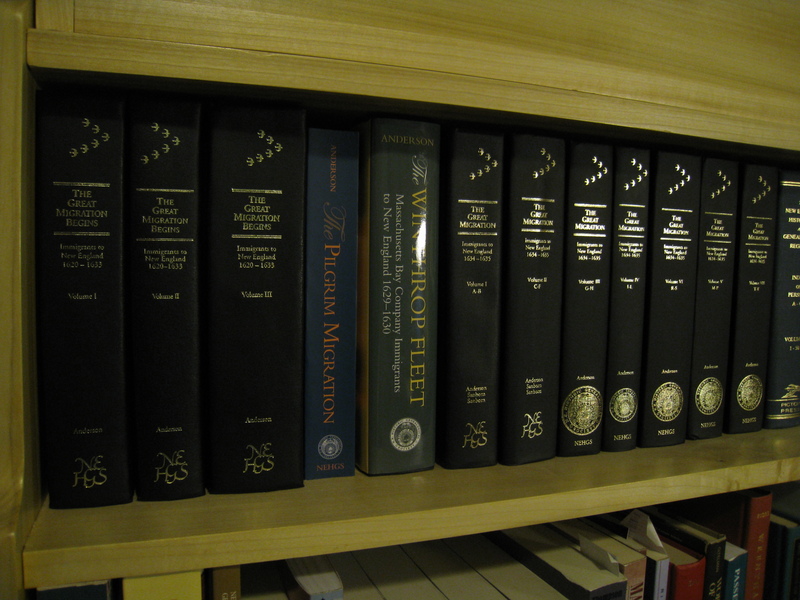 Each volume has an index. Rhode Island Genealogical Register v.1-22, particularly v. 16, Will Index. 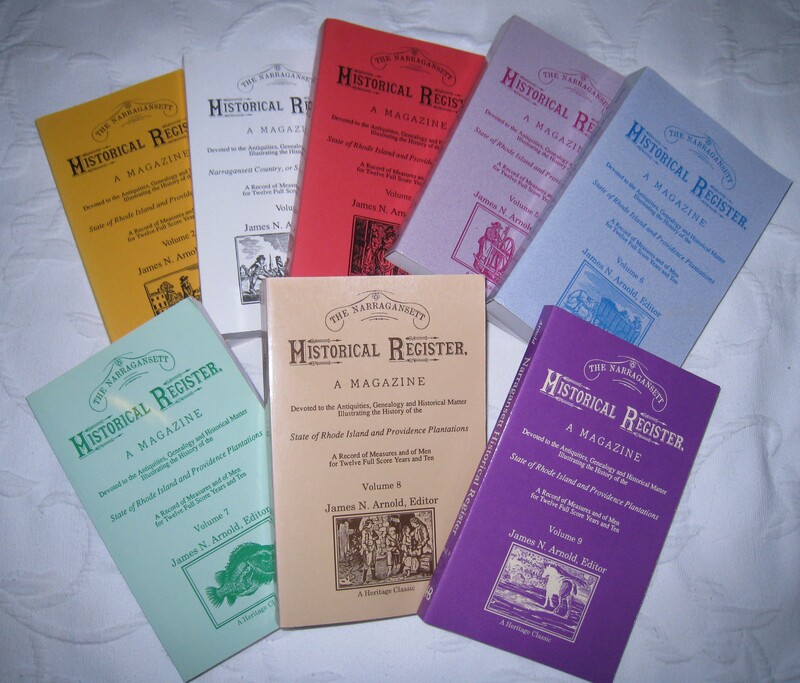 Rhode Island Roots, a journal of the Rhode Island Genealogical Society. Some of these have been uploaded and indexed on the NEHGS website. 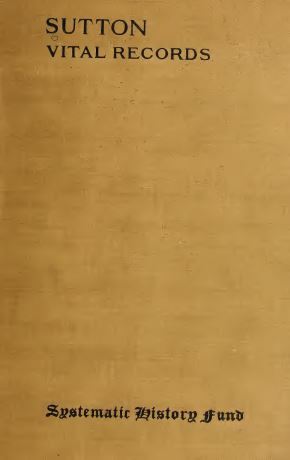 The Early Records of the Town of Providence, v 1 – 21 (Providence,: published in the 1890’s). Many of these are available online in pdf form but I have not collected them yet. There is also a full index available online as a pdf. Rhode Island Land Evidences, v. 1 1648-1696 Abstracts (Providence: 1921). (I do not know of any other volumes produced). The Providence Oath of Allegiance and Its Signers 1651-2 by Richard LeBaron Bowen. Providence: 1943. Mostly quoting from early records, this book gives life details of some Providence residents in 1651. It has an index. The Records of the Proprietors of the Narragansett, Otherwise called the Fones Record by James N. Arnold. Providence: Narragansett Historical Publishing Company, 1894. This book concerns early land transactions (1600’s) in the Narragansett country which is south of Warwick. It has an index. 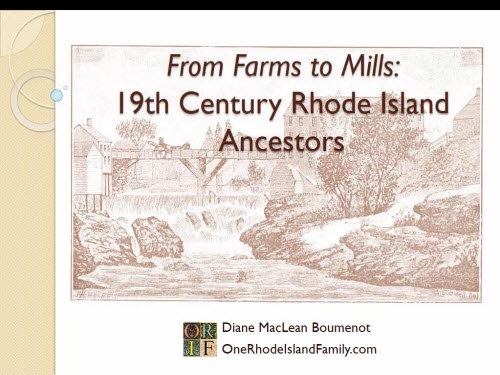 FIND SOME HISTORICAL SOURCES FOR RHODE ISLAND, PARTICULARLY THE AREA NORTH OF PROVIDENCE. It is necessary to understand the formation of the Smithfield and Louisquisset areas. This will help you understand, for instance, that a person could have been born in Providence and died in Smithfield, but all on the same property, as new towns emerged. That kind of clue would help you know where to look for records. And in the case of a real brick wall, it’s about the only thing that will help you find new research possibilities. MAPS HELP YOU SEE NEARBY TOWNS AND FEATURES. The Ballou book gives a wonderful description of Elizabeth and John’s homestead in Louisquisset, Rhode Island, and mentions specific neighbors. It’s possible this can be located on an old map. One of my favorite map sites is Historic Map Works. I also like Old Maps Online. These sites allow you to search for maps and view them online for free. Finding a map for the location you want, in the time period you want, is usually not possible, but maps give you clues about population density, proximity to rivers or the ocean, nearby villages, and, if names are mentioned, neighbor’s names. 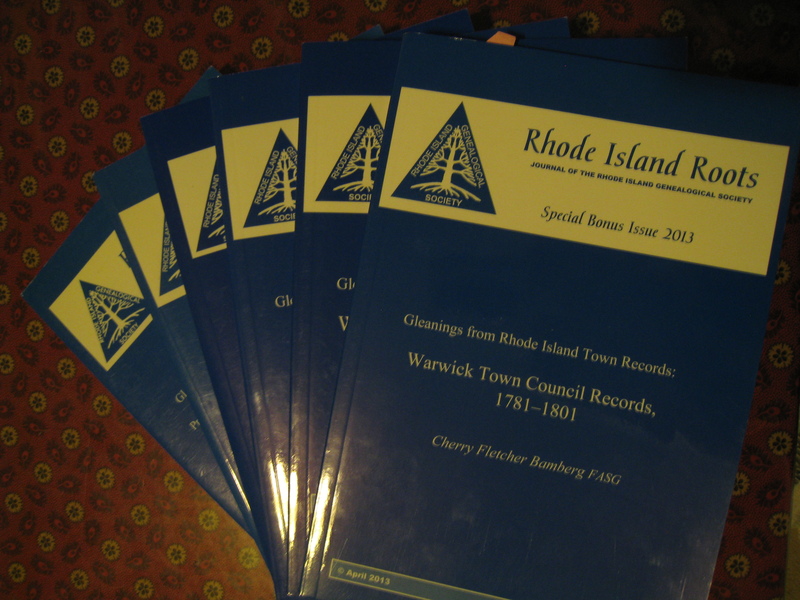 Special issues of Rhode Island Roots containing transcribed and indexed town records. 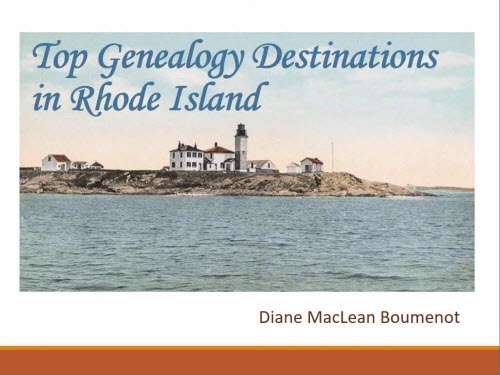 Rhode Island Genealogical Society members receive these – a great reason to join! Perhaps you have found a church connection that might be a source of surviving records (for instance, there is a significant Quaker collection at the Rhode Island Historical Society), or have a clue about some local cemeteries. To learn about pre-1790 Rhode Island census records, see this page at the RIGS website. Newspaper and military records are not common, but possible. During this time period, records of these types are scanty and may require visits to repositories. If you had a problem around 1800, such items might actually be first on the list of what to try. The key to doing your own research is a bit like jury duty. You must keep an open mind, consider ALL available evidence, and do not form conclusions until the end of the process. That’s hard to do! When you encounter something close but definitely not a match, keep careful track of that. In the end you may have documentation of, say, three individuals with the same name, and that will help you analyze future evidence. When you are researching, the answer often has to be assembled through SEVERAL pieces of evidence, not just one. So compile your clues and notes carefully, because one of them could represent one third of your answer. 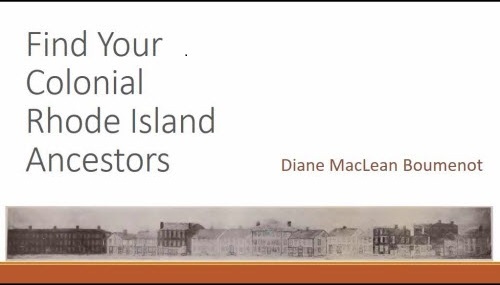 Once you know some more definite information about your ancestor, don’t forget the Rhode Island Historical Society catalog, the journal Rhode Island History, NUCMC, and the Rhode Island Archival and Manuscript Collections Online. Area around South Main Street, near the original 1636 settlement of Providence. Ivy, good luck – you will find that vital records from early periods are sadly lacking. So if you don’t find what you’re looking for, don’t assume the events didn’t happen in a certain place. A lot went unrecorded before 1850. Try deeds and probate on microfilm, and other town records. Hello Diane. I first want to thank you for outlining the many different resources that may provide additional information on my Phillips ancestors. I was in the Smithfield area last month and was able to review many documented records relating to births, marriages, and deaths on siblings of my ancestors at the Town Hall, Central Falls, RI which maintains those records for Smithtown after 1730. I went to Glocester and obtained the will of my ggggrandmother. I had on a previous visit 7 years ago, obtained the will of my ggggrandfather. Again, I thank you for the guidelines you provided in your blog. I have used several of them to get me where I am. I also want to tell you that you are right on with the compliments for Nathan Lavigne at the Providence City Archives. I spent some time with him today and was able to validate some informationI had on my Joseph Phillips as well as obtain some additional information. Nathan and Caleb Horton were very helpful in locating information for me and where there were microfilm records, they printed out the material and also sent it to my notebook computer. I mentioned to Nathan that I had gotten his name from you. He remembered you and your Blog. Roger, I appreciate hearing how it’s going. I have not been to the Central Falls town hall yet although I have seen various records on microfilm. I’m also glad you made it to the Providence city hall, what a valuable site that is. Keep me posted on your Phillips line and your problems with those early parts of the tree. thank you!! I love the way you step into the research plan by searching for published sources. I, too, use Torrey as a starting point with his meticulous list of published articles and books. Barbara, I agree, it captures my imagination to think of someone dedicating decades to that meticulous labor. What an amazing gift. I’m glad his name is attached to the product, in our minds, because it ought to be. What a wonderful step-by-step research plan with commentary, Diane. And photos, to boot! I appreciate your thoroughness – Thank you.